Last weekend, the individual Belgian Cup was staged in Eugies, hosted by l’Avenir Subbuteo Hennuyer. The 24 players entered in the Open category were divided into six groups without seeding, but there were few surprises. 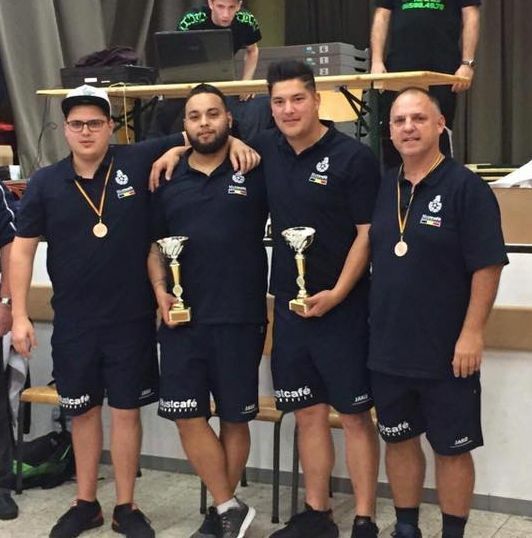 Players from RTS made a major achievement, by placing five players in the quarterfinals and four in the semifinals. In the end it was David Leroy who emerged by winning the final against world champion Rémy Huynh (5-4). In the veterans, the nine entries were split in two groups. Olivier Père won the final against Frank Lannoy, with Thierry Magermans and Richard Boulanger sharing the third place. 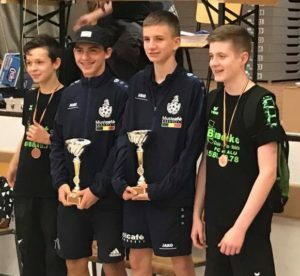 In the other categories, Louison Giaux won the U15 final against Basile Magermans, with Corentin Boltz and Lucas Père also on the podium. Nine players participated in the U12 category, with Noah Denne dominating. There was no surprise in women’s event, with the victory of Emilie Despretz over Margault Delval in the final, the ASH achieving the double. And finally, Martin Antoine won the U19 final against Corentin Bouchez. Congratulations to all the winners and thank you to l’Avenir Subbuteo Hennuyer for this great organization. This entry was posted in FISTF News, Front News. Bookmark the permalink.